Last year, I took two summer courses at the University of Notre Dame under ACE, ENL (English as New Language). At the ACE closing celebration night, I overheard three of my classmates talking about their upcoming two-year teaching plans at St. George’s College in Santiago, Chile. 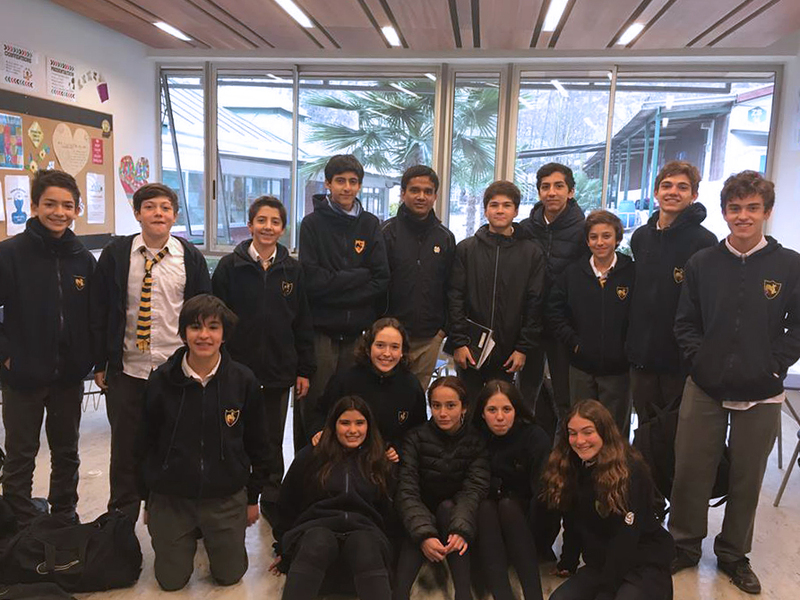 St. George’s, which ranges from Kindergarten through twelfth grade, is one of the best schools run by the US Province of the Congregation of Holy Cross. Overhearing my classmates talking, I felt the inclination to visit St. George’s, which would give me a glimpse of Holy Cross in South America. Moreover, I wanted to observe how St. George’s teaches English as a foreign language, as this would be the topic for my M.A. thesis paper. I then talked to Fr. Mike DeLaney, C.S.C., Director of Holy Cross Mission Center. He appreciated my curiosity and took the responsibility to make the necessary arrangements for my trip to Chile. Starting from that point until the end of my trip to Chile, many great things happened. Among all the serendipitous incidents, I would especially cherish how just simple smiles made a big difference during my stay in Chile. Prior to going to Chile, it felt little intimidating as I knew no Spanish. Having finished the Spring Semester of 2018, I started learning some basic Spanish using Duolingo app and Youtube. However, I felt my Spanish was very minimal for communication. After I landed in Santiago Airport, I started feeling helpless as I realized most of the Chileans speak almost no English. On my second day at St. George’s, I was given a tour of the campus by a Holy Cross Priest. I met the English faculty, the office staff, the campus ministry office, and many other people. 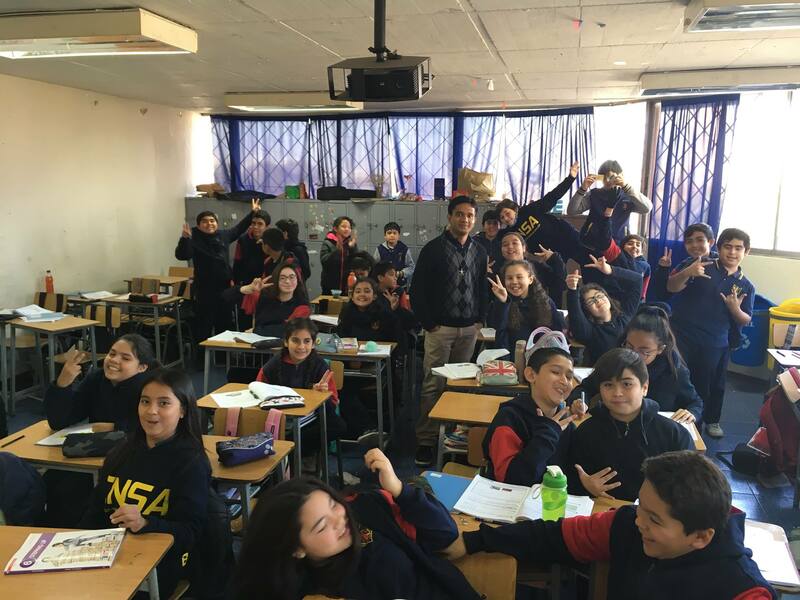 I was given an eight-day schedule by the English department which gave the opportunity to visit the English classes from third through twelfth grades. The students from eighth through upper grades can communicate in English. I tried to interact with each and every student in each class. 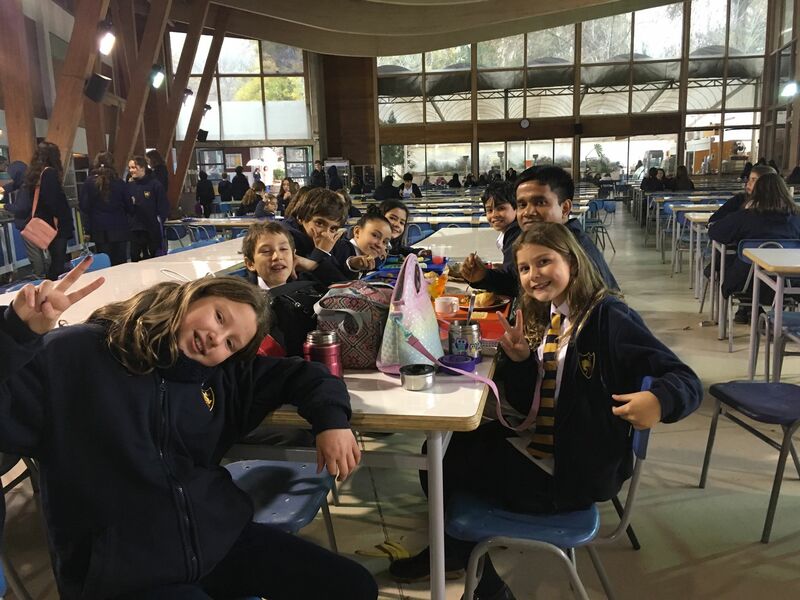 The best thing about interaction was when I was not able to communicate what I wanted to say because of my very limited Spanish, as well as when the students were not able to convey the messages they wanted to communicate, we just smiled at each other, which I feel is very precious. Though our words did not make any sense sometimes, our smiles conveyed the message of respect, unity, peace, and happiness. In some of the occasions, the students and I used Google translator in our cell phones to communicate, and that was another fun experience. Apart from the students, I tried to interact with everyone that I came in contact at St. George’s. While staying at the priests’ residence, I had to communicate with the cook as I am on a simple diet. She did not speak a single word of English. I had to use Google translator and my body language to say what I wanted her to cook for me. Though it was very hard for us to communicate, we never stopped smiling at each other. On my last day at St. George’s, one of the student counselors, who knew almost no English, took me on a hike in the nearby mountains. The beauty of the mountains was simply breathtaking. While walking along the way, the student counselor was giving me all the details of the mountains in Spanish. I felt like I was somehow able to perceive what he wanted to say. And again, we kept smiling. 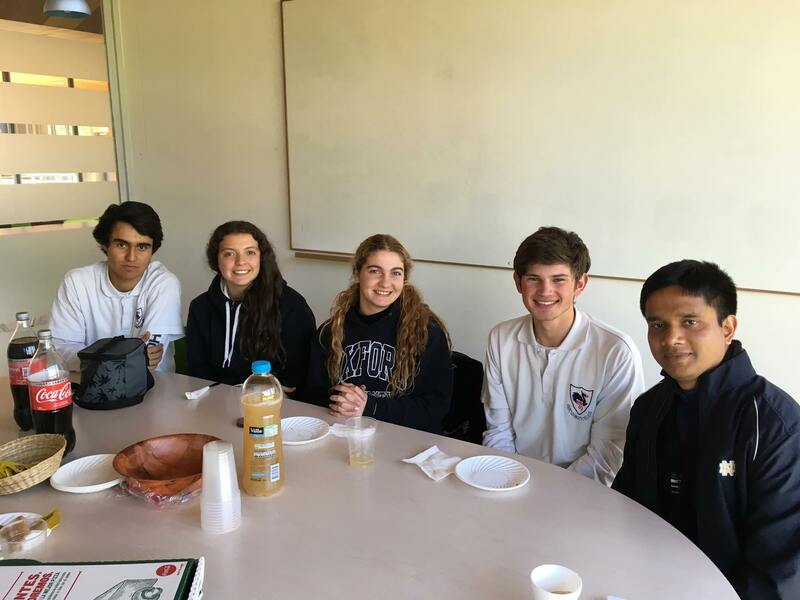 As I look back to my trip to Chile and ponder the magical power of a simple smile, I profoundly understand the essence of Christianity, which ensures us joy and happiness. Pope Francis recently said that we have to smile if we want to become good Christians. In my experience, this is very true. A smile does not only make us good Christians, but moreover, it makes us good human beings. A simple smile, which does not cost us anything, can make a big difference in our lives and society. So, let’s keep smiling and spread joy, happiness, and peace. Br. Jony was born in Gazipur, Bangladesh. He joined the Congregation of Holy Cross, St. Joseph Province as an eighth grade aspirant at Holy Cross Juniorate, Nagori in 1999. He professed his First Vows in 2007 and Final Vows in 2013. He is currently a second year graduate student of English at the University of Notre Dame, Indiana. During his Summer Break, Br. 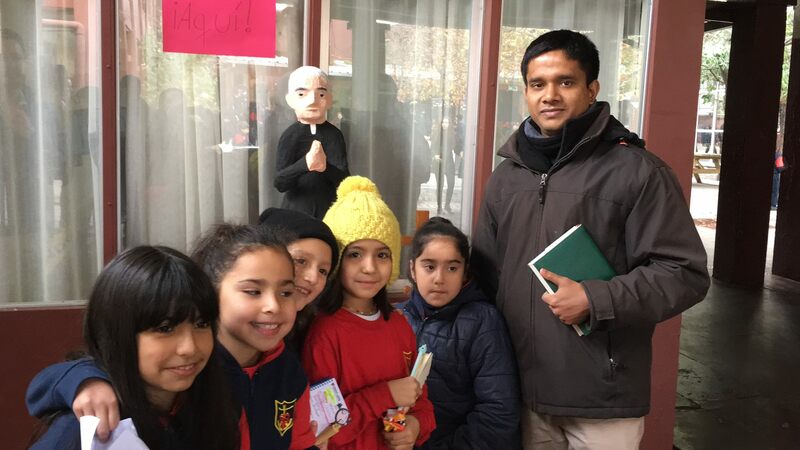 Jony first experience the Holy Cross family in Chile. You are Smart. You are Kind. You are Important. Bishop Arthur J. Colgan, C.S.C. Rev. Mr. Ryan Pietrocarlo, C.S.C. Mr. Felipe Campos Resendez, C.S.C. Fr. Steven S. Wilbricht, C.S.C. Fr. Thomas E. Hosinski, C.S.C. Fr. Thomas J. O'Hara, C.S.C. Fr. Kevin P. Spicer, C.S.C. Most Rev. Kevin C. Rhoades, D.D. Fr. David J. Scheidler, C.S.C. Mr. Jorge Armando Morales, C.S.C. Fr. Arthur J. Colgan, C.S.C. Fr. Marin Hernandez Campos, C.S.C. Fr. Alfredo Olvera Ledezma, C.S.C. Rev. Mr. Matt Kuczora, C.S.C. Fr. David T. Tyson, C.S.C. Rev. Mr. Paul Ybarra, C.S.C. Br. Thomas A. Dziekan, C.S.C. Fr. H. Richard Rutherford, C.S.C.